2Hopkins’ apartments in Baltimore, MD, give you great access to the city’s light rail and all it reaches. When you live in one of 2Hopkins’ apartments in Baltimore, MD, you’ll be close to many of Baltimore’s best locations. Like the luxury of our homes and the expansiveness of our amenities, the centrality of our location lets you live life at a level above. You don’t even have to get into a car to get around. 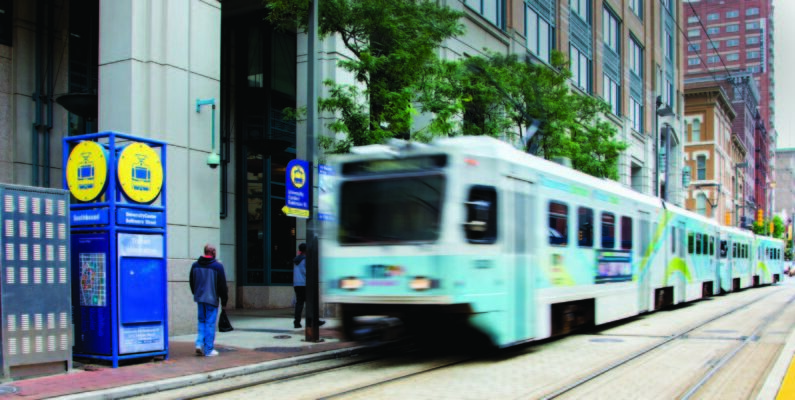 Instead, you can take advantage of the city’s light rail. Just one block from 2Hopkins, you’ll find the Baltimore Arena (University Center) Light RailLink stop. And from there, you can get to any of the following stops in a matter of minutes. While this stop puts you next to the Convention Center, it also puts you steps from the Inner Harbor. Hop off here and grab a bite to eat, enjoy an evening drink or take in the beauty of the harbor. Want to catch a ballgame? This stop drops you off right across from Oriole Park at Camden Yards. There’s no need to worry about finding parking and there’s no trouble getting home after the game is over. Looking for seafood, fresh produce, local meats or a quick bite to eat? This is the stop for you, putting you right at the world famous Lexington Market, a favorite among foodies all over town. Whenever there’s a new exhibit at The Walters Art Museum or a new show at Baltimore Center Stage, this stop puts you there. It makes it easy to enjoy Mount Vernon whenever you please. Museums, performance halls, the University of Baltimore and the University of Maryland Medical Center all await at this stop on the north end of Mount Vernon. When it comes to apartments in Baltimore, MD, only 2Hopkins gives you such a perfect combination of luxury at home and opportunity right around the corner. Schedule a tour of 2Hopkins today!